On the sunny Saturday afternoon of May 20 thousands gathered in the Piazza della Repubblica for Rome’s 7th annual March for Life. Organizers busily handed out balloons and banners as loudspeakers blared the triumphal chorus from Handel’s “Messiah,” much to the delight of a handful of American prolifers who had gathered to join with their Italian counterparts. The March got underway around 4 p.m. This year it began far from Via della Conciliazione, the street that runs from St. Peter’s Square to the Tiber, and the rallying point for previous marches. “Vittoriano” implies victory, and indeed the multitude of prolifers at the monument represented a sort of triumph over the anti-life forces. However, along the route, the Colosseum had been a presence behind the line of marchers, a stark reminder of yesterday’s death-dealing sport. The many Italian pro-life organizations represented in the March were joined by about 20 foreign groups, including some from the United States and Canada. A spirited band of seminarian drummers kept marchers upbeat. A Scottish bagpiper accompanied a group from the Czech Republic. A white, rubber-tired “train of life” carried large numbers of small children and their parents along the route. Also marching were pro-life scientists, doctors, and pharmacists, representing the thousands of medical personnel who are conscientious objectors to abortion, euthanasia, and abortifacient pharmaceuticals—all opponents to Law194/78, which brought legal abortion to Italy nearly 40 years ago. Among the few dignitaries present was Cardinal Raymond Burke, an American who is a regular at these marches. Flags, banners, and balloons were waved aloft by spirited marchers. Once again the poignant messages on signs and placards carried by the Italian groups epitomized the purpose of the March. One of these pictured a mother cuddling her newborn. “It’s beautiful to have him in your arms,” it read, “not on your conscience.” Another showed a late-stage, lifeless fetus with the words: “Mommy I forgive you!”This year’s event also saw many references to euthanasia, which is wending its way to acceptability and even legality throughout Europe. After the long march through some of Rome’s most famous streets, the crowd turned its attention to a podium in the piazza next to the Vittoriano where organizers spoke and several special invited guests recounted their personal life experiences. 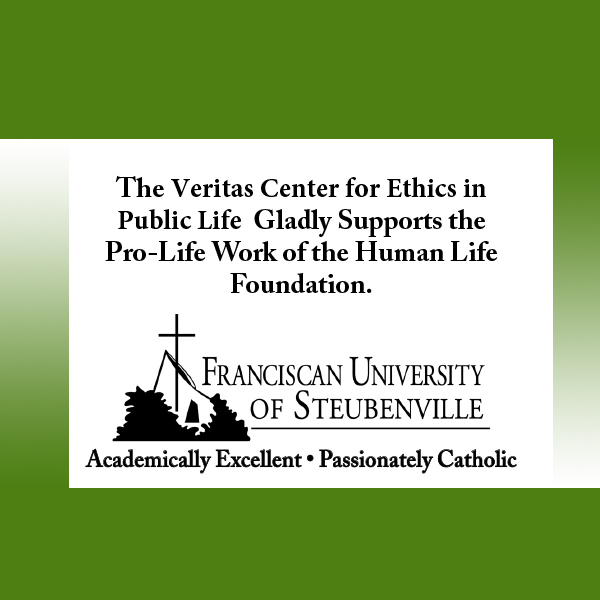 Among the latter was Stéphane Mercier, a philosophy professor at the Catholic University of Louvain in Belgium, who spoke about his recent suspension for describing what happens in an abortion to his students and asking them to reflect on it. Now the university is considering whether to sack him altogether. He asked for prayers. Another speaker was Roberto Brazzale, a businessman and owner of a prominent dairy company in Vicenza, in Northern Italy, which has over 500 employees. He spoke of the need to sustain families and said his company’s policy is to grant every employee with at least two years’ service a special “baby bonus” of €1,500 to help support a new child. His company also allows ample maternity and paternity leave so parents can be close to their newborn. Mr. Brazzale urged other employers to follow his example. Before the concluding remarks someone read a brief statement from Pope Francis, which had been transmitted through his Secretary of State, Cardinal Pietro Parolin, who was not present. The Pope expressed his wish that “the event might favor adherence to the values of human life and welcoming of this divine gift in all of its fascinating richness.” Mild applause followed. The marchers, their slogans, and the real-life testimonies of believers and supporters of life sent a strong and clear message to politicians (and others) from Rome to Brussels and beyond: Thou shalt not kill! 195 people have visited this page. 1 have visited this page today. Wonderful article! Up to Ms. Santoro’s usual very high standards.